This is the JayStation2. I designed the CPU and GPU, and etched all the transistors with my own two hands. Except that I didn’t. This is the excellent Raspberry Pi 2 B+. Also shown: James Lee’s serial to USB cable he loaned me so I could do some proper kernel reloading/debugging. Assume you have prepared all the necessary materials: a Raspberry Pi 2B+, MicroSD card, MicroSD writer, a serial to USB cable, and a micro USB cable like the one the Orbis DualShock 4 uses. Everything I talk about should work both on Mac and PC, and when there are differences I will try to mention them. 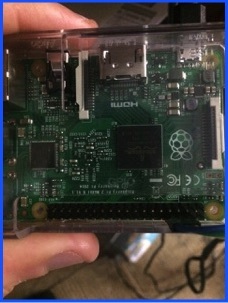 Connect the cable to the RPI2 GPIO pins and the USB connector as shown in the following three pictures. 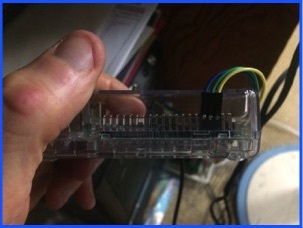 Not shown in the above image is the blue wire being connected to the TX pin of the USB connector. 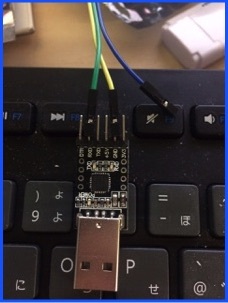 Remember the labeling of the pins on the USB connector are from the host’s perspective, not target. TX means from host to RPI, and RX means from RPI to host. Long story short, there are lots of necessary files. Luckily Linux has taken care of that for us. Go to https://www.raspberrypi.org/help/noobs-setup/ and follow the easy guide to installing a Linux distro on your SD card. Once that is done, mount your card and you will see two kernels: kernel.img and kernel7.img, the difference being RPI1 will try to boot from kernel.img and RPI2 will use kernel7.img. Booting your own OS only involves replacing the kernel7.img on your card with whatever you build. To actually compile (assemble) your source files, you will need a compiler and assembler. I recommend installing the excellent Yagarto package, located at http://sourceforge.net/projects/yagarto/. I use it at home on Mac and at work on Win7, so setup is the same on both machines. Make sure its added to your path at the end so that make can find it. The slickedit and xcode projects are makefile projects that map build menu items to makefile targets, but you can skip that if you just want to call make manually. You don’t even need to use an IDE if you don’t want. You are basically naming sections and optionally specifying what address they get loaded at. For example, by default the hardware wants the interrupt vector table loaded at address zero, so you’d create a section called .ivt and specify that it be loaded at address zero. In the actual source, you want to tell the linker what goes where by adding .section .ivt right before your interrupt vector table, but we’ll cover that in depth at another time. Also worth noting is the .init section at 0x8000. There is nothing magical about this number, its just what Linux seems to use by default and you can change it. You will place your startup code in this section, and then set the stack to 0x8000. Code will start at 0x8000 and go up, while the stack will grow down towards lower addresses. The above linker script will get you through the first few chapters, but you’ll need something else when we start initializing different stacks and using the MMU to do memory protection and virtual memory. Thats it. Now just make all to build your kernel, and copy the kernel7.img file to your SD card. 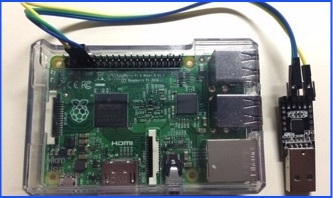 While this guide is for the BCM2835 used in the RPI1 and not the BCM2836 used in RPI2, with a little modification most of the information still applies. Especially worth noting is the information on addresses. The addresses listed in the peripherals manual are bus addresses, and all begin at 0x7E000000. To translate that into the physical addresses, just replace that 7E with 3F. So if the manual tells you the base address of the ARM timer registers is 0x7E00B000, you will use 0x3F00B000. Incidentally the RPI1 peripherals started at 0x20000000, so if you see some RPI1 site telling you the UART registers base address is 0x20201000, then you will use 0x3F201000.